n. 1 a: A Sanskrit term meaning to do no harm—literally translated as “the avoidance of violence”—or in the context of silk-fiber production, the ethical treatment of mulberry-eating silkworms. 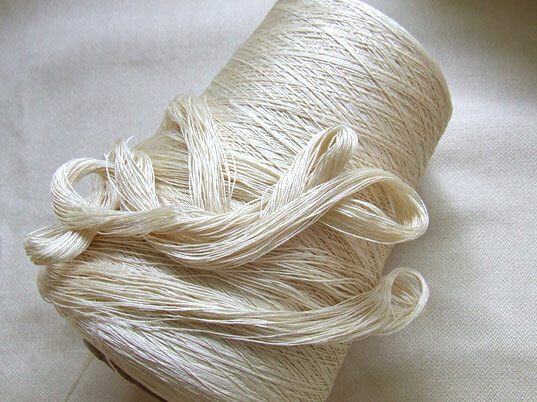 b: In lieu of boiling the silk cocoon to prematurely release strands of filament-like fiber, Ahimsa silk is extracted only after a metamorphosing worm has emerged from its cocoon, allowing it to complete an entire life cycle unharmed. c: A luxurious, airy, and soft-to-the-touch alternative to conventional silk, popular with the enlightened eco-fashion designers Bahar Shahpar, Bodkin, Ivana Basilotta, Minna, Mr. Larkin, and Enamore. Suzy Amis Cameron, wife of director James Cameron, wore an Ahimsa-silk gown for the red carpet at the 2010 Academy Awards.